I wanted to use my Photoshop skills to make at least one texture for this project and also further hint at the narrative of our scene, so I decided to put together a texture for the pages of the book that I modelled. I was inspired by tales of cryptids in general, as well as the journals from the Disney cartoon Gravity Falls and the Dragonology book series. Firstly I drew a diagram of the monster’s tracks, based on Nuala’s footprint model. I also drew the monster’s silhouette based off Nuala’s design and the pose from this famous picture of Bigfoot. 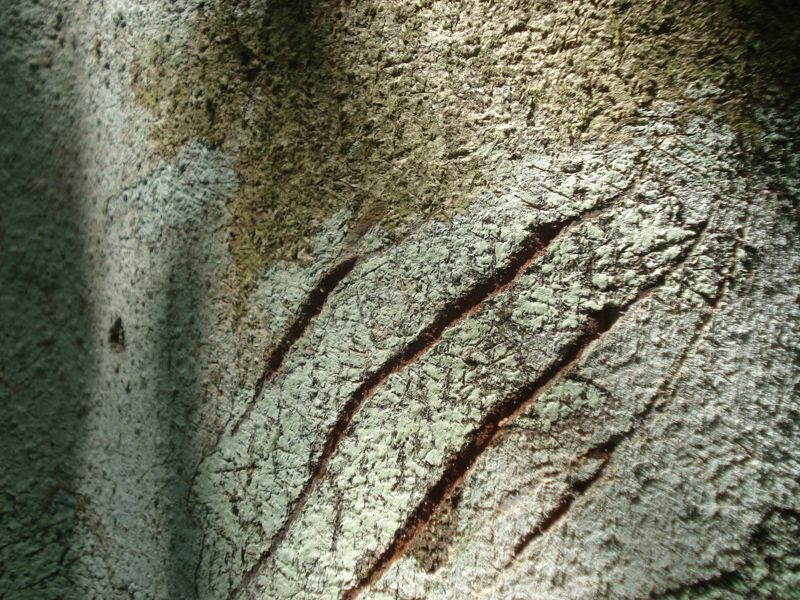 The other images and textures I used were all from a free texture set for photoshop, except for this piece by Travis Ladue, and this photo of claw marks from a bear on a tree. The text was mostly written by myself, with some elements taken from this article but modified to fit our narrative. The other textures for this UV were taken from here, here, and here. Looking at the finished work, I think it would have been better with custom textures, but these ones still work ok. The way I had modelled the book (out of separate components with the intention of animating it later) meant it had too many hidden faces for me to UV Map clearly so I had to retopologise it first. Looking back I realise I should have given it more edges for it to look more realistic, but overall I’m still happy with it. Though UV Mapping some parts of this model was simple enough, other parts like the spine and the sides of the book were a lot more difficult to figure out and sew together into UV shells, at least for a first timer. Though I can see the flaws in my work I think I did an alright job for a first try at texturing. I certainly learned a lot, and though I’m still struggling a little to wrap (haha) my head around the process I think I’ll figure it out soon.